Did you know that there will be a mobile device for every person on earth by 2015, and that mobile searches have grown by 4x since 2010? 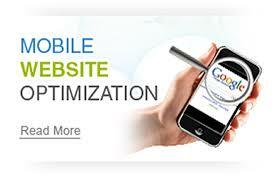 That means that every day more and more of your users are looking for your content…on mobile devices. What’s their experience like? Can they easily read what’s on the screen without pinching and zooming? Do you have links that are difficult to click instead of user-friendly navigation buttons? 61% of users are unlikely to return to a site that isn’t mobile friendly. It’s important to remember that even if users can see a website on a smartphone, it doesn’t necessarily mean that the site is mobile-friendly and easy to navigate. Your users are going mobile as we speak, and so the most important thing you can do to grow your business using the mobile web is to create a mobile-friendly website. Keep it quick – Design your site to load fast and make copy easy to scan. Simplify navigation – Create clear navigation and search functionalities. Be thumb-friendly – Design your site so any size hand can easily interact with it. Design for visibility – Make it easy for your customers to read. Make it accessible – Mobile sites should work across all mobile devices. Make it easy to convert – Create clear ways for your users to make purchases or contact you. Make it local – Consumers look for local info on their phones all the time. Make it seamless – Convert as much of the functionality of your desktop site to mobile. Use mobile site redirects – Ensure that visitors who visit your website from a mobile device are redirected to your mobile-friendly site. Listen, learn and iterate – Make testing and optimization an ongoing process. To review a detailed set of these best practices, download a copy of the 10 Mobile Site Best Practices. Visit howtogomo.com to explore actual mobile site examples of each best practice and use the GoMoMeter to see how your site is faring on mobile*. Finally, take a look at Google Sites for Mobile Landing Pages*, a free and easy-to-use tool that enables you to build mobile pages. *Note: These resources are currently only available in English, but will be available in other languages shortly.